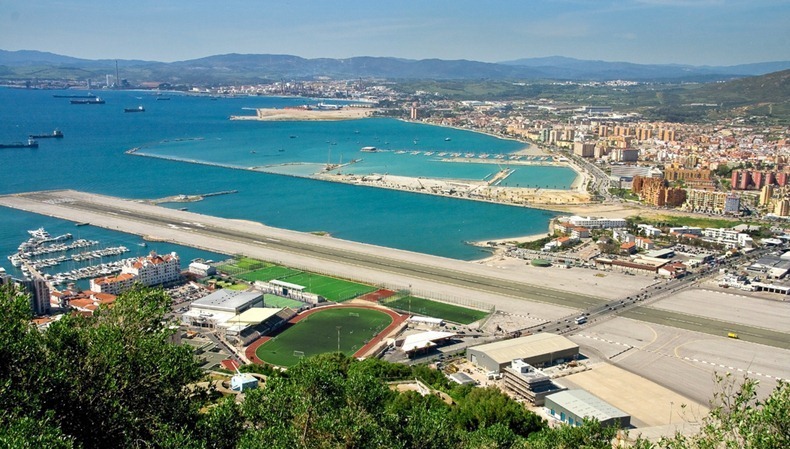 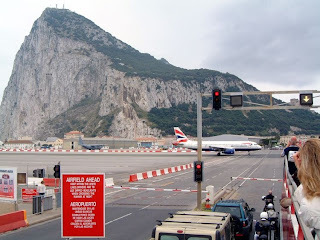 Gibraltar Airport or North Front Airport is a civilian airport that serves the British overseas territory of Gibraltar, a tiny peninsula with an area of only 6.8 square kilometres. 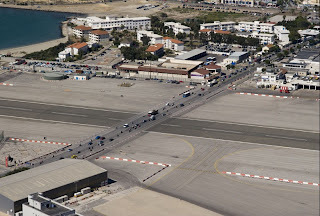 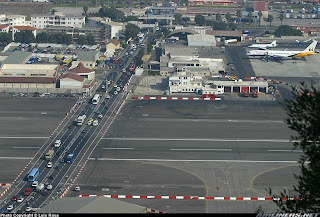 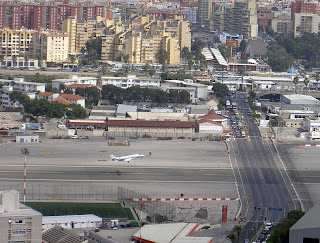 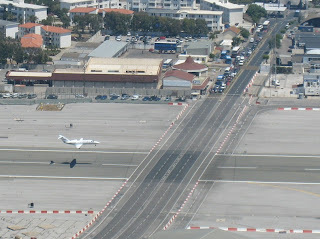 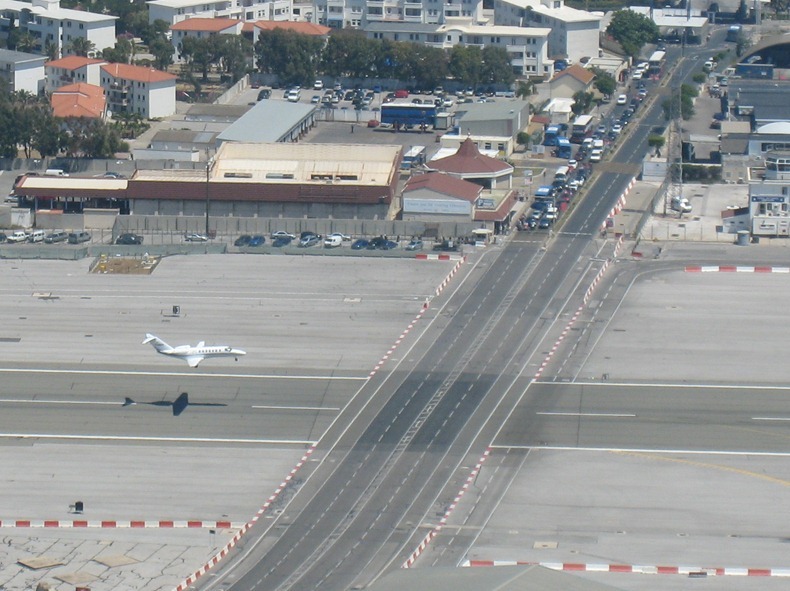 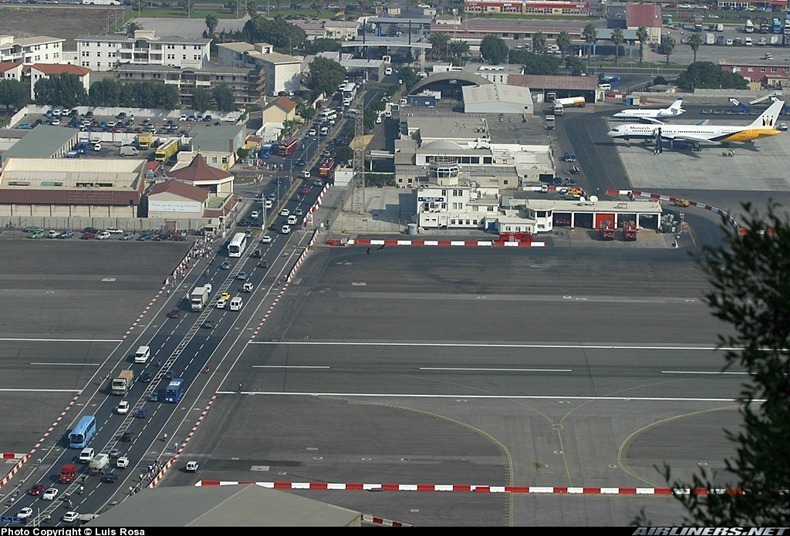 The lack of flat space on Gibraltar means the peninsula's only runway is bisected by its busiest road, the Winston Churchill Avenue that heads towards the land border with Spain. A pair of flimsy-looking barriers closes vehicular traffic every time a plane lands or departs. 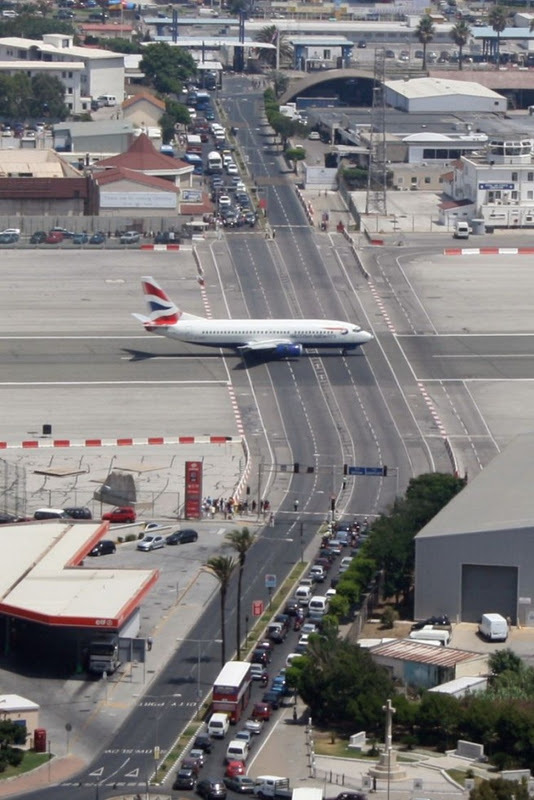 Fortunately, it’s not a busy airport. 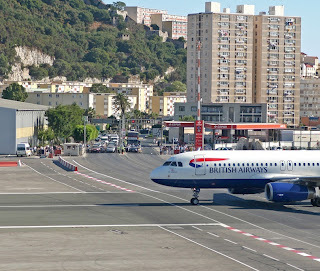 It handles only about 30 flights a week, all flying to and from the United Kingdom.